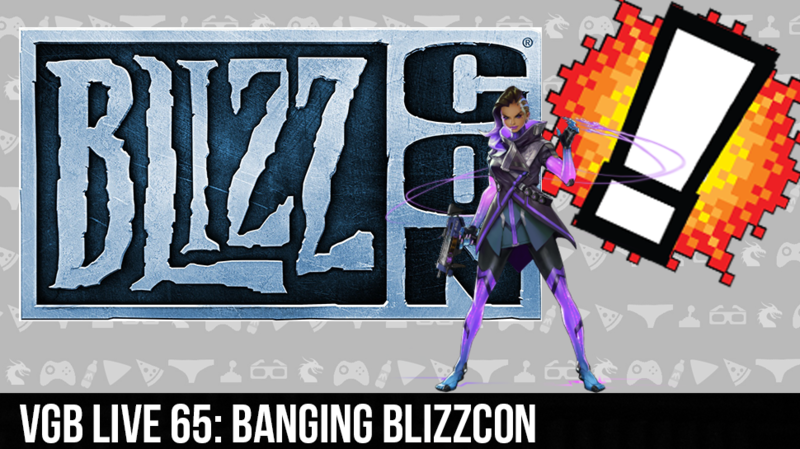 VGB LIVE 65: Banging BlizzCon! It’s a chilly one this week as the Weekend Bang! Tackles BlizzCon. Sir Aaron Carter is at the helm with The Real David Webb behind the 1’s and 2’s. Plus Alex Baggs and Oblivion Comics and Coffee’s very own Laura “L Boogie” Benson. The show kicks off with a small, semi review of the new Dragon Ball Z Xenoverse, then soon after we do some Banging Around the Web and that’s when it goes down. We’re talking Call of Duty and all their wrongdoings, we hit up all the latest news that spilled from BlizzCon from Heroes of the Storm to Overwatch we cover it all. Will Activision screw over its customers? Will L Boogie catch on as a name for Laura? Will Alex Baggs become an existential gaming monk? All that and more on this week’s coldest episode of the Weekend Bang!